The Protector Ethic: Morality, Virtue and Ethics in the Martial Way by YMAA author, James V. Morganelli, recently made it to Book Authority's list, "Best Philosophy Books of all Times." Book Authority also stated that the book is also included in their "15 Best New Philosophy Books to Read in 2019." Book Authority is one of the world's leading websites for nonfiction book recommendations covering topics from philosophy, marketing and finance, fitness, history and personal development. It identifies and rates the best books based on public mentions, recommendations, ratings and sentiment. This includes maintaining a comprehensive collection of book recommendations from experts such as Elon Musk, Warren Buffett, Professor Daniel Kahneman, Sheryl Sandberg and David Allen. The Protector Ethic explores the principles and values that must anchor a modern warrior. "Martial arts are much more than technical exercises," said Moranelli. "They offer us a 'physical philosophy' that allows us to understand ourselves, teaches us about others, and demonstrates the true meaning of justice. These ethics help us make difficult moral decisions." Dr. Yang, Jwing-Ming is teaching four days of classes at YMAA Andover on April 2, 5, 6, 7, 2019) Master Yang at YMAA Andover, hosted by Alex Kiesel, one of Dr. Yang's earliest students in Boston. Come learn and refine your Tai Chi Martial Applications, Ba Duan Jin Qigong, and Tai Chi Ball Qigong. YMAA Andover is offering special early Spring discount until 3/27. Group Discounts are also offered. Nearby lodging details included. More information can be found at the Yangs Fitness Center website. News from Dr. Yang: "As some may know, I have been writing fiction novels for a while to stimulate my brain. I hope this can help prevent Alzheimer's disease which runs in my family. It is also another way that I hope to incorporate spiritual concepts, and share the benefits of meditation and qigong practice to a larger audience, by incorporating them into these stories. I am very happy now to announce that two of my novels, The Secrecy and Sun Chasers (written with Dr. Robert Woodbine) are now available for Amazon Kindle. I hope you enjoy them." October 1, 2018 is the 36th anniversary of Yang's Martial Arts Association. Please read this thoughtful post by YMAA President Nicholas Yang. "Today's lifestyles constantly challenge traditional precepts. What formulas might there be to once again kick-start and revitalize martial arts, to pave a clearer and more defined path for the future? Call it stubbornness or unsettled perseverance, I have refused to let go of this persistent and ever-evolving question. I am certain that I cannot be the only one who feels that there exists a very certain essence in these arts, something so indescribable but yet so imperative to preserve, a remarkable beauty vested deep within that is undeniably worth striving for. I can only hope that we adequately do our part in keeping the spirit of the art true, in paying proper homage to our roots, and in effectively passing on this wonderful gift to the generations that follow. As we begin anew with a fresh 12-year cycle, I encourage and invite everybody once again both within and outside of YMAA to come together. We must advance and progress as a whole in order to successfully preserve, fully understand, and further develop the quintessential nature of this complex and very profound art. I sincerely hope that we succeed in making our predecessors proud. Happy 36th, YMAA International." Seven students from around the world graduated from programs at the YMAA Retreat Center on June 24, 2018. Students of the programs trained year round in the disciplines of Shaolin Long Fist, Shaolin White Crane, Yang-style Taijiquan, and Qigong. The YMAA Retreat Center is a non-profit organization dedicated to preserving the arts. The center is located in the mountains of Humboldt County, California and established by world renowned author and teacher, Dr. Yang, Jwing-Ming. Preserving the arts is the focus of Dr. Yang's work throughout the past 40 years. "At the beginning, we had a total of 17 students, but those who only lasted were seven," said Dr. Yang. "These are the seven seeds I have planted in the last ten years. I just hope these seeds will grow and produce more seeds to preserve the arts." Congratulations to the seven graduates, Quentin Lopes (6 years, United States), Enrico Tomei (5 years, Italy), Javier Rodiguez (9 years, United States), Jonathan Chang (10 years, United States), Frank Verhülsdonk (9 years, Switzerland), Piper Chan (5 years, Canada), and Michelle Lin (5 years, United States). Dr. Yang added, "I hope all graduates will spend the rest of their lifetime to learn, practice, teach, and spread the knowledge continuously." Xuan Ju is now accepting guest for extended stay and study of tai chi, qigong, kung fu and Daoism with Wudang master Zhou, Xuan-Yun. The center is 1.5 hours from Boston on 14 acres in souther New Hampshire. 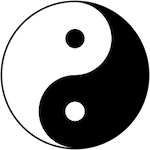 "It's been an absolute dream come true to see just how many people are interested in learning more about Daoism and all it has to offer such as Tai Chi/Taijiquan, Qigong, Kung Fu, Meditation, and all its other facets! I could never have imagined the tremendous response and interest that was to be found here in the United States! " Learn more here. The 10th Annual Tiger Claw Elite KungFuMagazine.com Championship will be held on May 19-20, 2019 in San Jose, California. It will be held once again in the spacious South Hall of San Jose's McEnery Convention Center. "This year marks crossing the decade-long milestone," said Gene Ching, publisher of Kung Fu Tai Chi Magazine. "It will be a landmark event that will offer lots of new and exciting improvements. And we are always looking for volunteers and sponsors." Dr. Yang, Jwing-Ming and students from YMAA Retreat Center will be participating in some of the following events. On Saturday, May 19, it will be paired with the Tiger Claw Elite Taekwondo Championships and the External Divisions will compete. There will be a new external division dedicated exclusively to Songshan Shaolin – the Kung Fu directly from Shaolin Temple. On Saturday evening, there will be an Overall Grand Champion Finale where all ages of the Advanced Division Champions of Traditional Kung Fu, Songshan Shaolin and Modern Wushu compete on stage for the Grand Prize. On Sunday, May 20 there will be the 7th Annual KUNG FU TAI CHI DAY alongside our Internal Divisions. There will be three Showcase Championships on stage, the WildAid Tiger Claw Championship, the Year of the Dog – Top Dog Championship, and the Ku Yu-Cheung Bak Sil Lum Championship. All Showcase Champions receive unique prizes and special attention in our post Championship coverage. The 10th Annual Tiger Claw Elite KungFuMagazine.com Championship will receive coverage in Kung Fu Tai Chi and KungFuMagazine.com and there will be a limited-edition DVDs of the event. Dr. Aihan Kuhn, YMAA author, celebrates "World Tai Chi & Qigong Day" on Saturday, April 28 at 10 a.m. at Bay Front Park (Island Park) near Marina Jack, Ringling Blvd., Sarasota, Fla. Sponsoring the event will be the Tai Chi & Qi Gong Healing Institute. "The event is free to the public," said Dr. Kuhn, an internationally recognized master instructor of tai chi and qigong. "We anticipate upwards to 100 people attending. No requirements necessary to participate. Beginners and those just interested are welcome. Other qualified instructors will be present to share the teaching." 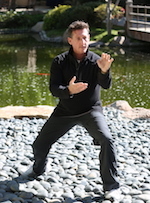 "World Tai Chi & Qigong Day" is the brainchild of Bill Douglas, author and master instructor. As the event unfolds across the planet—six continents, 80 nations and in hundreds of cities—it is being dubbed as "24 Hours of World Peace." 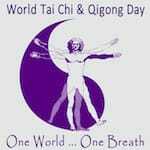 Check your local papers, Facebook or the "World Tai Chi Day" web site for an event near you. Donivan Blair, is the bassists for the rock band the Toadies. He is also the author, with T. G. LaFredo, of Even If It Kills Me: Martial Arts, Rock and Roll, and Mortality. Donivan Blair greeted many fans and signed his new book at the Barnes and Noble booth at the Yellow City Comic Con, Amarillo, Texas. "I was surrounded by fellow comic fans and was treated great by the folks at Barnes and Noble," said Blair. "Fans took pictures with me and it turns out the founders of the Con are big fans of the book and the Toadies." The book, is smart and funny, introspective and irreverent. Or as Blair said, "It blends rock and roll and taekwondo—two of the coolest things in the world." According to the Yellow City Comic Con show promoters there were over 5,000 attendees at the annual event held at Amarillo Events Center in Texas. And they plan to return in 2019. The event raised money for the local Children's Miracle Network of Amarillo and High Plains Region. The Independent Book Publishers Association (IBPA) announced the gold and silver winners in the prestigious IBPA Benjamin Franklin Award program, now in its thirtieth year. YMAA author, Donivan Blair with T. G. LaFredo, recently received the Silver Award in the "Memoirs/Autobiography" category for Even If It Kills Me: Martial Arts, Rock and Roll, and Mortality at a gala dinner ceremony at the Sheraton Austin Hotel at the Capitol in Austin, Texas. "The book is smart and funny, introspective and irreverent. It blends rock and roll and taekwondo. Two of the coolest things in the world," said Donivan Blair, author. The book cover sums it up, "This is the true story of a rock and roll musician who takes up taekwondo at age forty. Donivan Blair, bassist for the Toadies, knows he's past his physical prime, but he's determined to push himself and practice his dream of becoming a martial artist—even if it kills him." This year's esteemed indie book award program recognized excellence in books published during calendar year 2017. From close to 1,500 entries, one gold winner and silver winners were named in each of fifty-four categories. Winners may be found on the IBPA web site. "This year's list of IBPA Benjamin Franklin Award winners rest at the pinnacle of professional independent publishing. These are the best of the best," said IBPA CEO Angela Bole. "This is important because in the end it's not just about publishing; it's about publishing well. Becoming an IBPA Benjamin Franklin Award winner showcases a publisher's commitment to professional standards and high-quality book content and production." 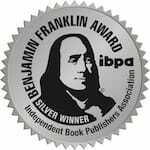 For 30 years, the IBPA Benjamin Franklin Award program has been regarded as one of the highest national honors for small and independent publishers. Over 150 librarians, booksellers, and design and editorial experts judge the books submitted to the IBPA Benjamin Franklin Award program. The judging process takes seven months. At the end of the process, every entrant receives written critiques from the three individual judges who reviewed their book. Happy World Tai Chi Day! Every year on the last Saturday in April, Tai Chi and Qigong practitioners spend one hour practicing at 10am local time, resulting in a wave of Qi around the world. This event has grown over 20 years into a worldwide event taking place in every time zone. 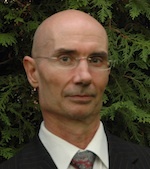 Founder Bill Douglas (link http://www.worldtaichiday.org/) has worked continuously to raise awareness of the benfits of these healing arts, sharing his message of "One world, one breath." You may even participate by relaxing wherever you are, and focusing on world peace for one hour. Dr. Yang has announced he will continue to teach until 2024 at the YMAA Retreat Center! You can apply now for a 3 or 5 year training experience, living at the Retreat Center with Dr Yang Jwing-Ming in CA. Apply now! https://www.ymaaretreatcenter.org/new-programs The first 10-year program is ending and graduation is in June 2018. 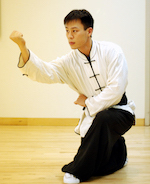 The first generation of kung fu, tai chi and qigong students began in 2008. Applicants from around the world were selected for life on the mountain, training daily in the redwood forest of Northern California with Dr. Yang and visiting teachers, such as Dr. Yang's own 80-year old Taijiquan master Gao, Tao. These students are now moving on to teach around the world. YMAA Publication Center announced today that the DVD Tai Chi Fit: Over 50 by David-Dorian Ross is the best-selling Tai Chi DVD in online sales. "This DVD is the best-selling tai chi DVD on earth after climbing into the top 10 of all exercise videos," said David Silver, director. "Author David-Dorian Ross helps the viewers to just have fun with tai chi and enjoy the flowing feeling of the short routine." This signals the arrival of Tai Chi in mainstream America. This video gives exactly what viewers need, especially baby boomers. This low-impact whole body exercise done sitting or standing appeals to seniors, those with limited mobility or anyone looking for gentle exercise. No experience needed; it's a beginner-friendly, follow-along workout. About the author: David-Dorian Ross has won eight US Gold Medals, a World Silver medal and two World Bronze medals in tai chi around the world. An acclaimed teacher, he has been featured on PBS and is the bestselling creator of the TaijiFit series and many titles, and co-creator with Jet Li of the TaijiZen series. With the passing of Grandmaster Richard Chun on Nov. 15, 2017, Grandmaster Doug Cook, 7th degree black belt, and owner of Chosun Taekwondo Academy, Warwick, NY, was recently named president and CEO of the United States Taekwondo Association (USTA). Cook was appointed by the grandmaster to succeed him shortly before his passing. Reached for comment, Grandmaster Cook stated that, "While I am honored beyond measure to accept this esteemed post, it comes at great cost with the death of my mentor and master. Grandmaster Chun was like a father to me in many ways and I will miss him dearly with all my heart." Founded in 1980 by martial arts pioneer Grandmaster Richard Chun, USTA is a national organization whose mission is to "promote the traditional and evolving art of taekwondo." USTA provides professional guidance in establishing national standards for technical practice and competition, testing, and accreditation for its many members. It also assists in organizing curricula for affiliate schools and offers services in web design and social media marketing. Additionally, the organization oversees tournaments, hosts seminars, arranges training tours to South Korea, and provides testing and legitimate accreditation of black belts through the Kukkiwon in Seoul, South Korea. Andrew Zerling, author of the YMAA award-winning book Sumo for Mixed Martial Arts: Winning Clinches, Takedowns, and Tactics, has published a new article, "Compression Locks," in the Oct/Nov 2017 issue of Black Belt Magazine, The World's Leading Magazine of Martial Arts. Zerling's article is about compression locks. "Find out how sneaky grappling moves like the biceps slicer are done and why they're so effective, then read what Dr. Joseph Estwanik, the original ringside physician for the UFC, has to say about the medical implications," said Zerling. Black Belt magazine is available in print and eBook formats. It can also be purchased on Amazon. Andrew Zerling is a black-belt martial artist with over two decades of experience in a variety of styles. His work has appeared in the Journal of Asian Martial Arts and Black Belt Magazine with Brazilian jiu-jitsu master Renzo Gracie. Andrew has also earned a bachelor of science degree in biology from Temple University in Philadelphia and has been a technical writer for the food and drug industry. Sumo for Mixed Martial Arts: Winning Clinches, Takedowns, and Tactics is Andrew's first book. Andrew Zerling resides in Rumson, New Jersey. YMAA Publication Center, Inc. recently moved its corporate office within the city limits of Wolfeboro, New Hampshire. The company hosted a “grand opening” reception where local businesses, staff, and friends were invited. The company originated in Boston, Mass. in 1984 and 12 years ago moved to Wolfeboro, N.H.
“We rented for many years in Wolfeboro and just came off our best year ever after 32 years in business. When this fabulous space came on the market, we had to take the opportunity. Who wouldn’t love to work lakeside in an office environment? We are, after all, in the lakes region of New Hampshire,” said David Ripianzi, publisher. YMAA serves its customers as an online business with sales of books and DVDs to those interested in martial arts, self-defense, health products, weapons, apparel and sports equipment. As YMAA is a virtual office, at the new location will be staff members, David Ripianzi, publisher, Sara Scanlon, customer services manager, Diane Mork, bookkeeper, and space for interns. The other team members are Tim Comrie, production manager, and David Silver, video manager, both located in Massachusetts, and Barbara Langley, publicist, located in Missouri. The editing staff, TG LaFredo, resides in Nevada and Leslie Takao resides in New Hampshire. YMAA author Andrew Zerling has written an article that is posted in "MMA Uncaged" Issue 40, January/February 2017. In this article, Zerling says, "Know your roots. History is a great teacher. This article deals with the history behind clinch fighting from Ancient Greece and feudal Japan to today's mixed martial arts (MMA) and beyond. But first, what is clinch fighting and why is it so important in hand-to-hand fighting?" The author states in his article "that the clinch occurs when there is some sort of gripping between the combatants while they are standing and there are numerous different types of clinches. For example, the standing clinch is one of the three major phases used in hand-to-hand fighting and MMA. Combatants usually clinch when one of them is defending a takedown or as they strike each other. It may not be as well-known as the free-movement phase (standing strikes with no grips) and the ground fighting phase, but it is just as critical. To read the complete article, visit "MMA Uncaged." 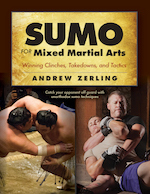 Some material in this article is drawn upon from the book Sumo for Mixed Martial Arts: Winning Clinches, Takedowns, and Tactics by Andrew Zerling (YMAA, Oct. 2016). Michelle Lin began her training as a child at YMAA Andover in Massachusetts. She is now a student in the intensive kung fu program at the YMAA Retreat Center, training kung fu, tai chi, and Chinese culture in daily lessons with Dr. Yang, Jwing-Ming in Northern CA. After being spotted on YouTube performing kung fu in a martial arts tournament, she was selected for a role in the film "Assassin's Creed". She spent 12 weeks filming in London as the Northern Shaolin character Lin, a quiet and deadly assassin. The film debuted in theaters last week, fighting against a new Star Wars film for viewers, and earned over $30 million in its first week. Watch the video that got her discovered and read more in this interview from our friends at Kung Fu Tai Chi magazine. Five YMAA books received award recognition from Best Book Awards. This awards program is in its 13th year and attracted 2,000 entrants. Two winners are: Krav Maga Professional Tactics by David Kahn in the "Sports" category and Training for Sudden Violence: 72 Practical Drills by Rory Miller in the "Self-Help General" category. Three finalists are: Tai Chi Chuan Martial Applications by Dr. Yang, Jwing-Ming in the "Sports" category, Redemption: A Street Fighter's Path to Peace by Michael Clarke in the "Autobiography/Memoir category," and The Mind Inside Yang Style Tai Chi: Lao Liu Lu 22-Posture Short Form by Henry Zhuang in the "Spirituality-General" Category. David Ripianzi, publisher of YMAA Publications, offers his congratulations and kudos to these fine authors. YMAA Schools celebrated their 34th anniversary on October 1st. YMAA was founded by Dr. Yang, Jwing-Ming in 1981 when he quit his engineering job and dedicated his life to teaching the traditional Chinese arts of kung fu, tai chi, and qigong. In the early years, classes were taught in Dr. Yang's garage, and then at a YMCA on Huntington Ave in Boston. The school was eventually established in Jamaica Plain, MA at the end of the subway line. In 2005, Dr. Yang moved to CA to undertake another dream project at the YMAA Retreat Center. Students there are now in their 7th year of an intensive 10-year training program. Dr. Yang continues to teach in seminars around the world and week-long classes in CA. Congratulations to all at YMAA! The Wall Street Journal article explains the benefits of Tai Chi and Qi Gong for the general population but in particular for the baby boomer generation. "Two millenniums later, the ancient practice is returning—showing up alongside disco, yoga and aqua aerobics as the hottest trend in stress relief at American spas and health clubs," writes Jane Spencer, staff reporter of The Wall Street Journal. Read more about this old wisdom becoming a new trend. Join Master Helen Liang for a special tai chi performance and the introduction of two new DVD releases, Simplified Tai Chi for Beginners: Learn the 48 Form and Simplified Tai Chi for Beginners: Learn the 24 Form. This free event will be held at Banyen Book & Sound Store, 3608 West 4th Ave., Vancouver, BC, Canada V6R1P1 (604) 732-7912 on Thursday, April 28, 2016 from 6:30 to 8 p.m.
"Both of these forms, Tai Chi 48 or Tai Chi 24, are based upon an ancient art often described as 'moving meditation,' because it stimulates your mind, body, and spirit," said Liang. She is the eldest daughter of Grandmaster Liang, Shou-Yu. Originally from Sichuan Province in China, she began training in traditional Wushu at the age of 4 under the strict guidance of her father. In 1985, she immigrated to Canada and in 1989 became an official instructor at the Shou-Yu Liang Wushu Taiji Qigong Institute in Vancouver. Today, she is the owner/director of the school. During her years of training, she participated in many national and international competitions and won a great number of gold medals. She has been featured in many media events including, television, in China and in Canada as well as in several newspapers and magazines worldwide. Author, Jason Thalken, of Fight Like a Physicist discusses the recent Volkswagen fraud of installing deceptive software systems and compares it to the NFL situation when Dr. Bennet Omalu published results from the autopsy he performed on former Pittsburg Steelers center Mike Webster. Webster suffered from chronic traumatic encephalopathy (CTE). Both companies wrongly viewed these fiascos as a PR problem. Thalken claims you still can't trust major companies to fix these problems. The NFL's CTE problem is rooted in the center of scientific and medical processes that we still don't understand. Perhaps martial arts has the answers. Read more about this interesting article at Kung Fu magazine. YMAA author, Ramel Rones, is one of the practitioners associated with the newly created Cancer Wellness TV. This program will provide a free online platform providing video, articles, and easy-to-prepare recipes. In addition, there will be content about cancer complementary therapies including, tai chi, yoga, nutrition, mediation, art therapy, music therapy, survivorship support, and much more. On this TV program, there will also be some of the top experts in the world of cancer integrative therapy, including, nutritionists, exercise physiologists, mind-body practitioners, oncologists, psychologists, survivor advocates and others whose life work is with cancer patients, survivors and caregivers. These professionals will share their knowledge with those who need it. "Now people dealing with cancer will finally have access to complementary therapies without having to leave their homes," said Rones, an expert tai chi/qigong master, author of the Sunrise and Sunset Tai Chi books and DVD series. "And best of all this service is 100 percent free." For immediate access for more information and videos, please visit, Cancer Wellness TV. Other information may be found on its official blog, Facebook, and Twitter. (Inside Science) -- Jason Thalken has a Ph.D. in physics and also practices martial arts. He's the author of "Fight Like a Physicist: The Incredible Science Behind Martial Arts." A data scientist who works in industry, he has studied and competed in eight martial arts, and has a black belt in hapkido. His book investigates and discusses how to use to science to gain an advantage, why safety equipment can backfire, and why center of mass, pi, and momentum are all important to those who practice martial arts. YMAA Publication Center announced the receipt of five awards from 2015 USA Best Book Awards. Fight Like A Physicist—The Incredible Science Behind Martial Arts by Jason Thalken, PhD received the "Winner" in the "Sports" category from USA Book Awards. Conflict Communication: A New Paradigm in Conscious Communication by Rory Miller in the "Social Change" category, Tai Chi Chuan Martial Power: Advanced Yang Style by Dr. Yang, Jwing-Ming in the "Sports" category, The Mind Inside Tai Chi: Sustaining a Joyful Heart by Henry Zhuang in the "Self-Help" category and First Defense: Anxiety and Instinct for Self-Protection by David Hopkins, PhD, in the "Self-Help" category. Jeffrey Keen, president and CEO of USA Book News said, "USA Book News.com is an online publication providing coverage for books from mainstream and independent publishers to the world online community. Now in its twelfth year, it received 2,000 entries in 100 categories, which was narrowed down to 400 winners and finalists. These five books were part of the 400 winning titles." More information about YMAA Publication winners may be found at The 2015 USA Best Book Awards. Dr. Jason Thalken will be featured in a book-signing event on October 10, 2015 from 10 a.m. to 2 p.m. at Barnes & Noble Pacific Place, 600 Pine Street Suite 107, Seattle, Wash. 98101, (206) 264-0402. You may purchase a book at Barnes & Noble and have Dr. Jason Thalken autograph it. Please feel free to bring your helmet, your child and helmet, and Dr. Thalken will be glad to offer his opinion on correct fit and usage. 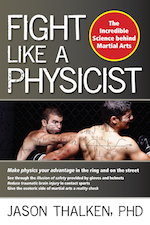 About the book: Make physics your advantage in the ring and on the street. See through the illusion of safety provided by gloves and helmets. Reduce traumatic brain injury in contact sports. Give the esoteric side of martial arts a reality check. 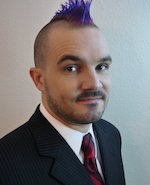 Jason Thalken has a PhD in computational condensed matter physics from the University of Southern California, and bachelor's degrees in physics, mathematics, and philosophy from the University of Texas. Dr. Thalken has studied and competed in more than eight different martial arts styles since 1995 and has a black belt in hapkido under Grand Master Ho Jin Song. He resides with his family near Seattle, Washington. John Donohue, author of Enzan: The Far Mountain, A Connor Burke Martial Arts Thriller, published by YMAA Publication Center, received Gold recognition in the Mystery/Suspense category from IBPA Benjamin Franklin Awards. 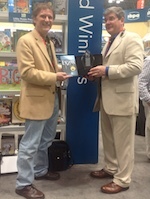 David Ripianzi, publisher, YMAA Publication Center, presented Donohue with the award at the Independent Book Publishers Association (IBPA) booth space during Book Expo America (BEA) at New York City's Jacob K. Javits Convention Center. 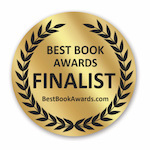 "I'm honored to have my novel Enzan receive a gold medal from the Benjamin Franklin IBPA award," said Donohue. "It's fantastic recognition for the fifth book in a series that has been a real labor of love. I'm grateful for the recognition as well as for the great support I've received from the team at YMAA, who continue to see the potential in my work and provide the editorial, marketing and public relations support that frees me up to keep writing." There are 55 categories recognizing excellence in book editorial and design. The Benjamin Franklin Awards is regarded as one of the highest national honors for independent publishers. World Tai Chi & Qigong Day (WTCQD) will be celebrated on April 25, 2015 at 10 a.m. in every time zone around the world. You can participate in this global day of peace by yourself or with your local tai chi or qigong group by simply practicing at 10 a.m. As the day passes, a wave of energy will encircle the globe through the hearts and minds of practitioners on every continent throughout hundreds of cities in 80 nations. YMAA Publication Center supports this day and many of its schools and authors worldwide, Poland, Italy, Iran, Chile, U.S.A. will participate. To name a few, Aihan Kuhn, YMAA author of Traditional Chinese Medicine, will sponsor a free event, at Bay Front Park (Island Park) across Rt. 41 and Ringling Blvd., Sarasota, Fla. YMAA Taiji Master, Roger Whidden, of Whidden School of Fitness, 822 Webster St., Marshfield, Mass. will host a demonstration. Shermin Rezaei-Dorji, YMAA Iran Director, advised that the Iran Wushu Federation will support the Iranian Taiji schools and plans to hold an event at the Water and Fire Park in Tehran estimating 50 or more participants. 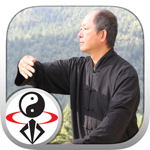 Bill Douglas is the creator of World Tai Chi & Qigong Day. After 17 years, the event has grown to include millions of tai chi and qigong practitioners who share a common vision of hope and healing. In addition, read about the origin of WTCQD at a YMAA interview with Bill Douglas. Check the WTCQD web site and see if there is a free event scheduled in a park, school, or community center near you. Taekwondo, the most popular martial art in the world today is a modern discipline with ancient roots and a multifaceted history. After the political turmoil and Japanese occupation in the first half of the twentieth century, the Korean government, seeking to reclaim a strong national identity, encouraged the different Kwans or martial arts institutes to unite under a common name.Today, most historians agree that it was General Choi Hong Hi (1918-2002) who, on April 11, 1955 created the name Taekwondo based on its close association with the indigenous Korean kicking art taekkyon. Following much debate and many political hurdles, consent was finally granted. Steve Jobs wasn't only a pioneer in computer technology. He was also a pioneer in the technology of the brain. This article appeared in Inc. 5000, March 19, 2015, where Geoffrey James, columnist, points out that Steve Jobs used the same meditation method as Dr. Yang, Jwing-Ming, to train his brain, reduce his stress, gain more clarity, and enhance his creativity. James said that Jobs was mostly known for his legendary ability to create innovative, groundbreaking products. What's less known, though, is that Jobs was a pioneer in what was once a rather esoteric "mind technology"--the use of mindfulness meditation. "The mind technology of meditation has since gone mainstream…and companies as diverse as Target, Ford, Google have begun to teach their employees the same kind of mindfulness that Jobs embraced decades ago. I learned mindfulness meditation from world-renowned martial artist Dr. Yang, Jwing-Ming. From what I can tell from Jobs' description of his meditation, Yang's method is either identical or closely related to Jobs' own practice." Read more of this interesting article. The YMAA video app "Yang Tai Chi for Beginners Part 1" has been featured in a recent New York Times article and video. The article by Kit Eaton says "Yang Tai Chi for Beginners is a comprehensive iOS and Android app for learning one of the more popular forms of Tai Chi. It uses video-based lessons to talk you through the precision movements of the form. The video demonstrations are backed up with text-based instructions and explanations of correct posture and what the movements are for and what they mean. The app has a short sample of its content available free, but the full content requires an in-app payment of $10. There's also a second app that completes the lessons." View the complete list of YMAA video apps here. YMAA author, Zhou Xuan Yun, will be the featured guest speaker on National Qigong Association's "Qi Talks!" on Thursday, Jan. 8, 2015 from 8:30 to 9:30 p.m. EST. Vicki Dello Joio will host the interview which will be filled with qi information. 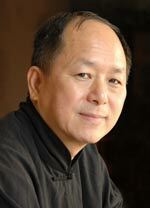 Zhou Xuan Yun is a Daoist priest and will talk about the role of qigong in Daoist practice. He will discuss his personal experiences growing up in a Daoist temple on Wudang Mountain as well as the years he spent "cloud traveling" as a wandering monk. His interview will also include Daoist history and philosophy, and how Daoism has been practiced in China over the years. The event is free, but you must register in order to participate. Zhou Xuan Yun belongs to the Orthodox Unity sect of Daoism. He is the author of Wudang Kung Fu: Fundamental Training, Wudang Sword: Tai Yi Daoist Form and Applications and others. YMAA Publication Center is celebrating thirty years in business. According to the U.S. Department of Labor Statistics, the survival rate of small businesses over 15 years old is about 25 per cent. Technological developments have put many publishing companies in stress or out of business. But YMAA Publication Center, a small company focusing on books and DVDs of Asian martial arts mostly—Chinese Martial Arts—has survived and continues to grow and thrive. Violet Li, columnist, The Examiner, writes an interesting blog article about this growth with early photos of Dr. Yang and David Ripianzi, publisher. USA Book News.com, an online magazine featuring independent and mainstream publishing houses, announced that YMAA Publication Center received three Finalist awards for their books. In particular, Simplified Tai Chi Chuan 24 Postures with Applications and Standard 48 Postures by Liang, Shou-Yu and Wu, Wen-Ching received a Finalist award in the Health, Diet & Exercise category. 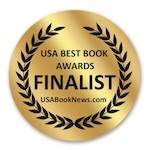 Both Dukkha Unloaded—A Sam Reeves Martial Arts Thriller by Loren W. Christensen and Enzan The Far Mountain—A Connor Burke Martial Arts Thriller by John Donohue received a Finalist award in the Mystery/Suspense category. Over 400 winners and finalists were announced in over 100 categories. Awards were presented for titles published in 2012-2014. Jeffrey Keen, President and CEO of USA Book News, said this year's contest yielded over 2,000, which were then narrowed down to over 400 winners and finalists. Dr. Yang, Jwing-Ming and his son Nicholas are traveling during October 2014 to teach Tai Chi, Qigong, Pushing Hands, Chin Na, Shaolin White Crane, and more. Most classes are open to the public and offered by YMAA Schools and seminar hosts in Iceland, Ireland, France, Poland, Italy, and Portugal. YMAA students and school directors also have an opportunity at this time for testing and form corrections. Watch the seminars page for the most current info. YMAA has just passed its 32 year anniversary, and Dr. Yang congratulated everyone in YMAA International with this message. The United States Taekwondo Association announced that Chosun Taekwondo Academy, Warwick, N.Y. was selected to host the 2014 United States Taekwondo Association Special Taekwondo Seminar (USTA) at Monroe-Woodbury High School, Woodbury, N.Y. on Sunday, Oct. 26, 2014 from 11 a.m. to 4 p.m. The seminar will feature a variety of classes taught by Grandmaster Richard Chun, a ninth-degree black belt and one of the highest-ranking master instructors in the country. Open to all martial artists regardless of school, affiliation or rank, the comprehensive curriculum will include education in basic technique, self-defense, forms, sparring drills and breaking. Information about this seminar may be found by contacting Chosun Taekwondo Academy at info@chosuntkd.com, (845) 986-2288 or download a registration form at www.chosuntkd.com. Master Doug Cook, head instructor of the Chosun Taekwondo Academy commented, "We are clearly delighted and honored to be given the opportunity to host a seminar of this nature rather than a competitive tournament." Chun and Cook, both YMAA authors recently published Taekwondo Black Belt Poomsae Original Koryo and Koryo and a companion DVD. Few martial artists practicing today are given the opportunity to train in the country from which their chosen discipline has evolved. Yet, that is exactly what thirty students from the Chosun Taekwondo Academy, did this past July when they journeyed to South Korea the homeland of taekwondo under the leadership of Master Doug Cook, 6th degree black belt. This was Cook's seventh training tour of South Korea. This tour included nine days of physical, cultural, and academic training. The itinerary included instruction by world-renowned grandmasters at the new Taekwondowon in Muju, the Kumgang Taekwondo Center and Kukkiwon in Seoul, the World Taekwondo Instructor Academy in Yangsu-ri, Golgulsa Temple in Kyongju, and the Dongyang Taekwondo Academy located on Jeju Island. Participants also traveled to Kyongju, the ancient capital of the Silla Kingdom located in the southeast portion of the country. Master Doug Cook stated, "It is an honor to provide our students with traditional training of this caliber mixed with the cultural exposure a martial pilgrimage offers; for that is truly what this adventure was – a path to enlightenment through the accumulation of ancient martial wisdom. I am already planning another excursion for 2016. I urge anyone interested in the traditional martial arts to join us." The YMAA YouTube channel has passed a milestone of over three million views on our preview trailers and streaming videos. The YMAA channel has over 100 videos, arranged into playlists sorted by subject. "YMAA Previews" features trailers for all YMAA DVDs, plus bonus clips. "Rent YMAA Videos" features 10 full-length video segments from various programs available for rent. Other playlists focus of specific authors, such as "Nicholas Yang", "Rory Miller", Zhou, Xuan-Yun", and "Dr. Yang, Jwing-Ming", which features a collection of Dr. Yang videos from various sources dating back to the 1980s. Thanks to all those who have viewed the videos, and please subscribe to the YMAA video channel. The students of the 10-year training program with Dr. Yang, Jwing-Ming at the YMAA Retreat Center just completed their 6th year. This comprensive full-time study program includes martial arts, qigong, meditation, weapons, Chinese language, publishing skills, and more. Dr. Yang says: "This year's training has been the most productive and smoothest of all the years so far. The new group of students who joined us last fall are full of promise, heart, and spirit. Together with the old group, I am confident that all students will be able to reach their training goals in the years to follow. Congratulations to all students for their hard work and dedication this year." Read more. 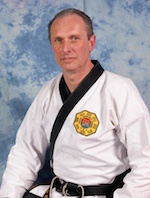 Master Doug Cook, Chosun Taekwondo Academy, Warwick, N.Y. and YMAA Author, will be taking 30 students for a martial arts pilgrimage to South Korea this July 2014. According to Cook, this tour will be different. This time, there are plans in motion to produce an hour-long documentary, tentatively titled Taekwondo Training in Korea – Land of the Morning Calm, with plans to air on public television, commercial networks featuring travel content, and at various domestic and foreign film festivals. A producer was hired, professional equipment will be used, and a script was written to set the documentary in motion. The film will focus on vigorous training at world-renowned venues such as the Kukkiwon – center of taekwondo operations worldwide, the all-new Taekwondowon located in Muju, and Golgulsa Temple situated high in the southern mountains. The documentary will be balanced by cultural opportunities on Jeju Island and Seoul, the capital city of South Korea. "Because of the nation's innate beauty and the extreme challenges posed by a serious study of Korean martial arts, it has always been my desire to capture the dignity, strength and beauty of taekwondo in its nation of origin on film. Now, this dream will become a reality," said Cook. Shermin Rezaei-Dorji, director,YMAA School in Tehran, Iran, reports that students and followers of the ancient and valued art of taijiquan and qigong gathered together in parks and public places to move together in one breath and with a single heart with other people throughout the world. Rezaei said in a flyer that the basics of the global and national goals of the day include introduction of the significant benefits of this art to the public, and improving overall wellbeing and life skills. It was also a day to become sensitive to nature and the environment and improvements in green space and a day to unite the large family of taijiquan and wushu globally and nationally. This was their first participation. The group met at Ordibehest—Park Mellat, sponsored by YMAA and the Iran Wushu Federation. YMAA novelist, Vincent Pratchett, author of The Raven's Warrior has been selected to participate in World Book Night eve on Tuesday, April 22, at 7 p.m. at Talking Leaves bookstore, 3158 Main St., Buffalo, New York. The Raven's Warrior is a fantasy sci-fi book with a new twist on the Arthurian legend of yesteryear. Pratchett's award-winning debut novel has interesting references to internal and external martial arts interspersed with tales of Eastern mysticism. Celebrating the day, author, Garrison Keillor, will be appearing with other noted writers at the New York City Public Library. And Catch 22 is one of the 35 books being given away and delivered by 25,000 volunteers in 6,000 communities. There are 2,300 bookstores and libraries serving as community organizers. 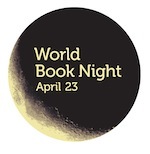 World Book Night U.S. is a nationwide initiative celebrating the love of reading, person to person on April 23 –Shakespeare's birthday. Annually, an independent panel of librarians and booksellers choose about 35 books using lists compiled by experts in the bookselling and library world. This year, The Raven's Warrior, was one of the selections. Tom Bowman, a longterm student of Dr. Yang, has opened a new YMAA school located in Tulsa, OK, offering qigong classes four to six days per week. Tom has helped many students recover from various health issues, including autoimmune disease, pain management, depression, and breast cancer. Visit YMAATulsa.com for more information. There are currently over 50 official YMAA schools around the world. CNN-US, John Blake, interviewed YMAA author, Kris Wilder, and posted his comments in his article, "She survived a standoff with a gunman---could you?" It's the story of how a courageous woman, Antoinette Tuff, school bookkeeper, kept her cool and survived a school invasion by a gunman by "changing the mood." Wilder, a 30-year veteran of martial arts and award-winning author, said, "She had a unique, deep and profound skill set that she was able to bring to the situation." Tuff was the only one standing between the gunman and 800 children in an elementary school just outside Atlanta, Georgia. 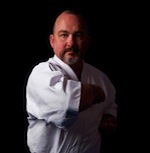 Kris Wilder began his martial arts training in 1976 in the art of Tae Kwon Do, he has earned black belt-level ranks in three arts: Tae Kwon Do (2nd Degree), Kodokan Judo (1st Degree) and Goju-Ryu Karate (5th Degree), which he teaches at the West Seattle Karate Academy. He is the author of The Way of Sanchin Kata: The Application of Power and companion DVD and co-author of The Little Black Book of Violence. YMAA Retreat Center student Michelle Lin has published videos from the recent 2014 ICMAC martial arts tournament in Houston. Nicholas Yang was named "Grand Champion" in the Traditional Northern Advanced Men category, won 1st place in Advanced Men Fixed Step Pushing Hands, and 2nd place in four other categories. Michelle was 1st in Adv. Women Northern Long Fist. Jon Chang was 1st in Adv. Men Southern Fist and Adv. Men Open Weapons. Javi Rodriguez was 1st in Adv. Men Continuous Sparring (<165 lbs), 2nd in Adv. Men Yang Style Taiji, and 3rd in several other categories. And, Quentin Lopes won 1st place in both Adv. Boys Traditional Hand Forms and Adv. Boys Weapons (Bullwhip). Congratulations to all. Thanks to host Nick Scrima and all those who participated. Dr. Yang, Jwing-Ming began self-publishing his own books in 1984, in the basement of his kung fu school in Boston, MA, USA. Since then, YMAA Publication Center has gained acclaim for its in-depth martial arts and health books and videos. In 2003, David Ripianzi, a long-term student of Dr. Yang from the early years, purchased the publishing company so Master Yang could free up some of his limited time and energy, and focus on the training at the YMAA Retreat Center in CA. As the publishing industry and economy have changed, YMAA has evolved and thrived, and our small staff of a half dozen people are still going strong. Congratulations and thanks to Dr. Yang, and to all of our customers and supporters over the years. The "People to Watch" article appeared in The Star newspaper in Toronto, Canada on December 29, 2013. Vincent Pratchett, a Toronto, Canada firefighter for 23 years, is a first novelist whose book, A Raven's Warrior has been chosen for the United States' 2014 World Book Night. Pratchett's novel is one of 38 new and established works that will be handed out free to some 550,000 occasional or non-readers across the U.S. on April 23, which is also Shakespeare's birthday. 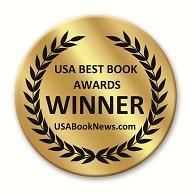 The book is already a winner of the 2013 USA Best Book Award for visionary fiction. The novel is set in 10th-century China. Its protagonist, a Celtic warrior, is taken in battle by Vikings and dragged and sold across Europe and Asia until he ends up a slave to a Taoist priest and his daughter in the Middle Kingdom. Under death's watchful eye, a new root of Arthurian legend takes hold.